It's been over 3 years since the foundations were laid on "Fall of Mombasa". 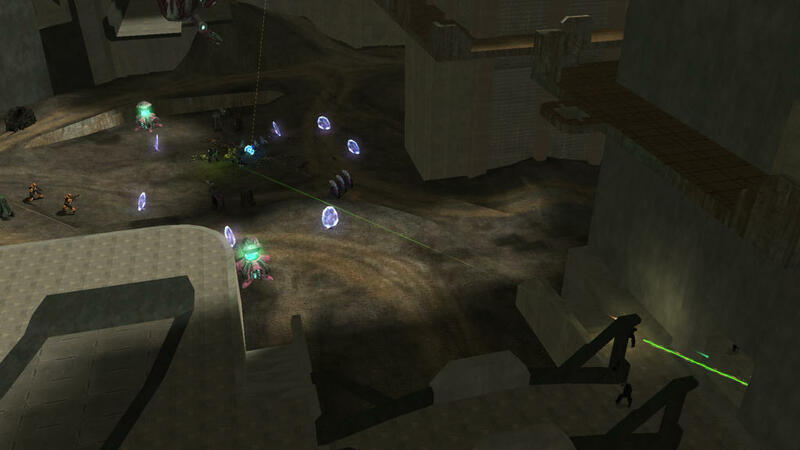 What originated as a 3 BSP, linear single player level has now evolved into a 5 BSP open-world environment containing Level Structures from over 11 different Halo levels. Over the entire course of this project I had been fighting against the thought that it would never reach completion. Plenty of projects before this had been cancelled before getting anywhere near a release, and the sheer scale of the original project was far more than anything I had undertaken before. As the project developed and I invested more time into developing concepts and ideas, the original project's scale had grown 10 fold. But now, for the first time, I'm able to look forward and see completion. 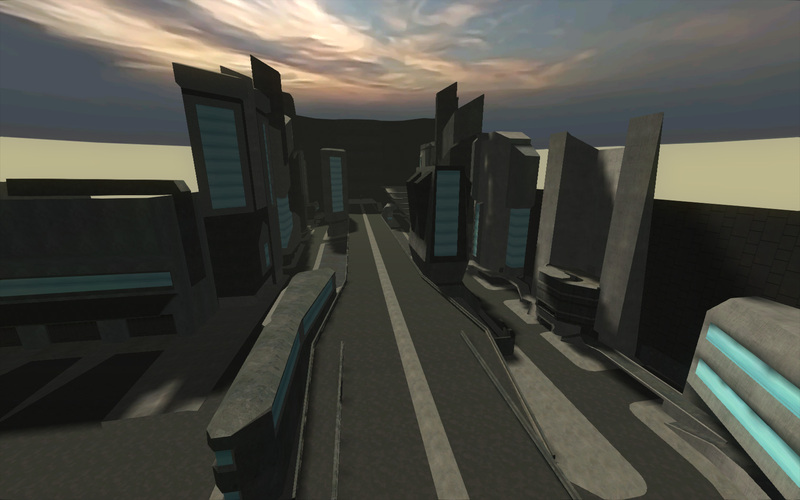 This is the end-game now, the foundations for gameplay have been laid and just need to be completed. 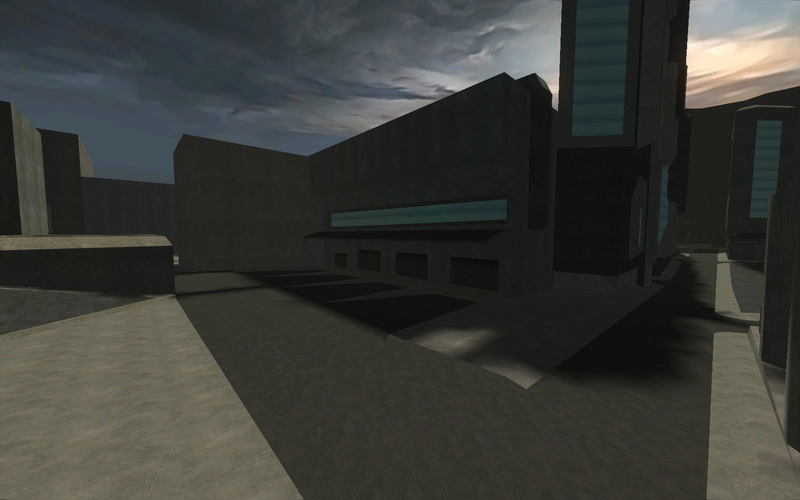 From there any further building is simply for features; missions, easter eggs, and any other extras. I happily present for your enjoyment, The End-Game Update. My YouTube Channel has lots of gameplay and development videos, and you can look throughout the thread for pictures posted during development. Maybe it's just me but the BSP's colour palette is a little drab. But everything else was wholly enjoyable, thankyou for releasing this! Users reporting crash related to resource maps not being present. I built it with the intent of it not needing resource maps. Not sure what happened. Will be updating upload at a later time today. Looks good, I'll check it out when the fixed build gets uploaded. 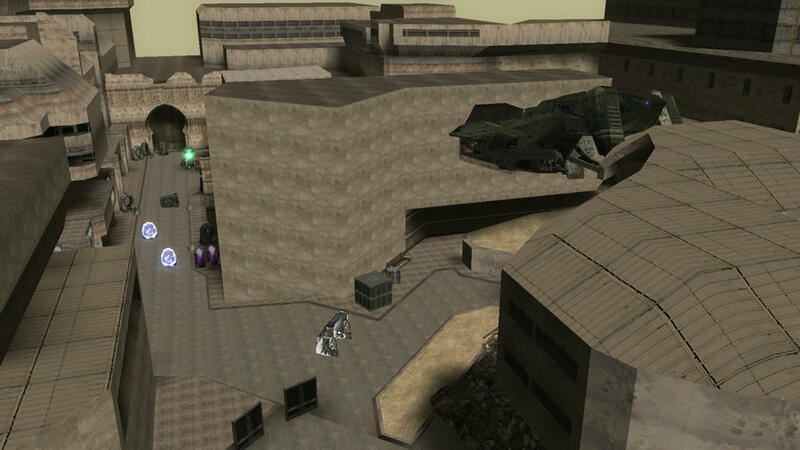 Upload has been updated, place all the files within the folder MAPS into your MAPS folder in the Halo Custom Edition directory. 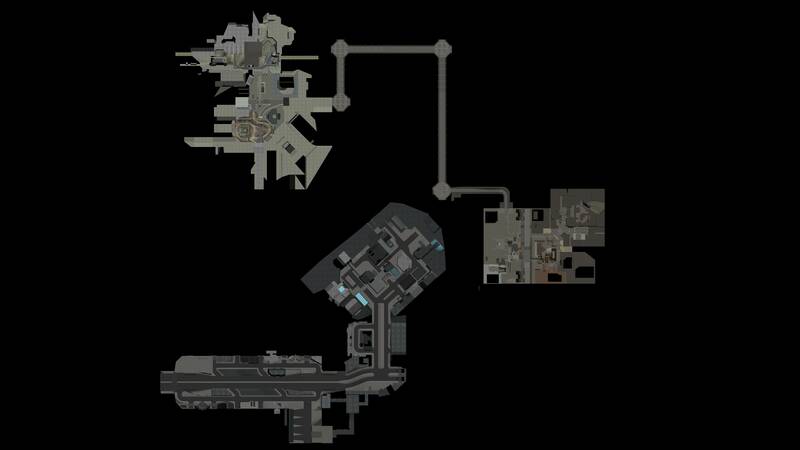 Pretty nice map, but I hope that you make a real mission out of it. Now you just spawn in a huge battle without any instructions what to do or where to go. You just walk around and fight. There are no real encounters, only ones that accidently are created by roaming enemies, and it just isn't really that much of fun after a while. The connection between the two parts of the maps is also waaaay too long. Some vehicles in it don't even collide. Are the enemies spawning from the phantoms infinite? Yes they just continually respawn. And that's the full intent of the mod. There won't be any scripted sequences of any kind. There isn't any need for it, the game isn't a campaign level. It's an open sandbox environment. This is an early beta, I was working until ~12:30 AM and added Headlong from start to finish on the 24th. I had to cut encounters from the tunnel sequence which will normally break up the drag of having to navigate them. Much more will come, including an entire new BSP section larger than any of the first two that I just need to finish polishing up. For what it's worth, I really enjoyed it through and through. Also appreciated the use of the Evolved tagset and biped. Do you plan on making this a campaign level? 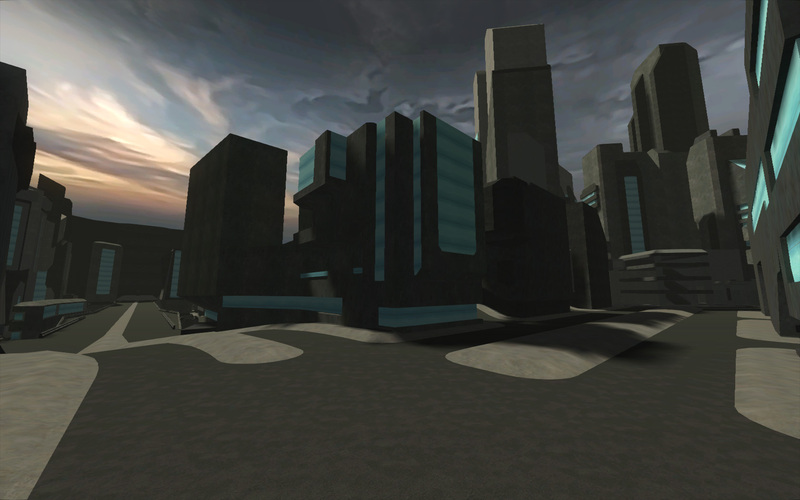 Ill eventually add my last BSP (New Mombasa and Chronopolis) and then start working on polishing those and immersion. More dialogue and situational elements, more custom dropoff animations and passive AI. There will eventually be NO floating phantoms, the system works now until I can animate each of the drops with a few different permutations for each zone. 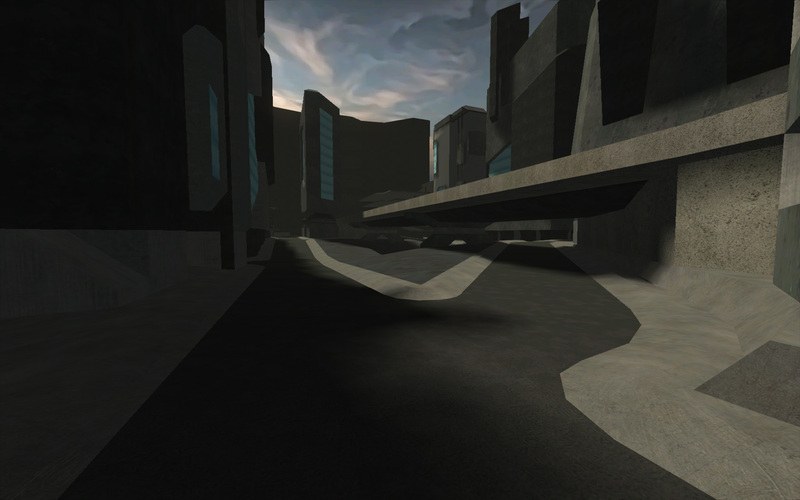 The mod is designed around an open world concept. Wherever you go there is a fight. So if you want to fight in a certain area you just go there if you start getting bored and want to go somewhere else you can. You're a small part of a large battle surrounding you and youre just trying desperately to tip the scales to humanity. The battles are just as exciting with or without you there; the marines fight to win. The Biped is a placeholder, as is the health and armor which will be completely retooled to match. There are no shields, just Body Armor. Armor will greatly prevent damage but leak some to health. Once armor is gone youll be taking full damage from enemies. Its not something you load up to finish. Its something you load up to play around with for an hour. I really like the way the BSP is structured but this needs some work. Sounds like the AI MP maps I used to play years ago but with much more polish. The open world concept sounds nice, but I'm pretty sure that the game is more fun if it has a real objective, maybe capturing and definding stations could be a thing and that marines try to defend the captured points. I hope to work with a friend on this going forward and he in the past created a project that was a much heavier version of what you just suggested. 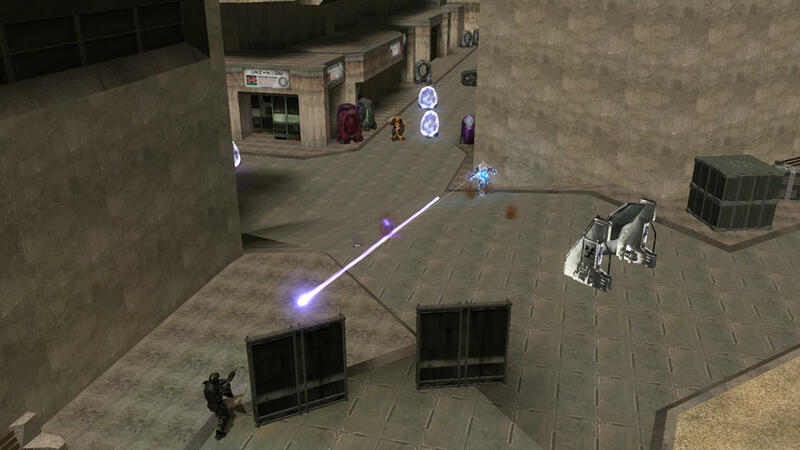 Organizing marine squads to capture locations as a long term FPS-RPG. I actually really like that concept you posted and will probably implement something along those lines as an overarching optional campaign. Kind of like easter eggs in Zombies maps. As for the despawn, I know instantly what that's from. All spawning is done from a single encounter, the script then teleport them to a phantom and then migrates them to the local encounter. Since the spawns are randomized it allows me a master spawn script that I can then pull to each local encounter I create with ease. While trying to debug the initial spawn happening 2-3 times, I thought it may be spawning multiple encounters and then migrating them all to the first local encounter (turf). One of the theories was to migrate the AI sooner, and load the vehicle with the local AI. 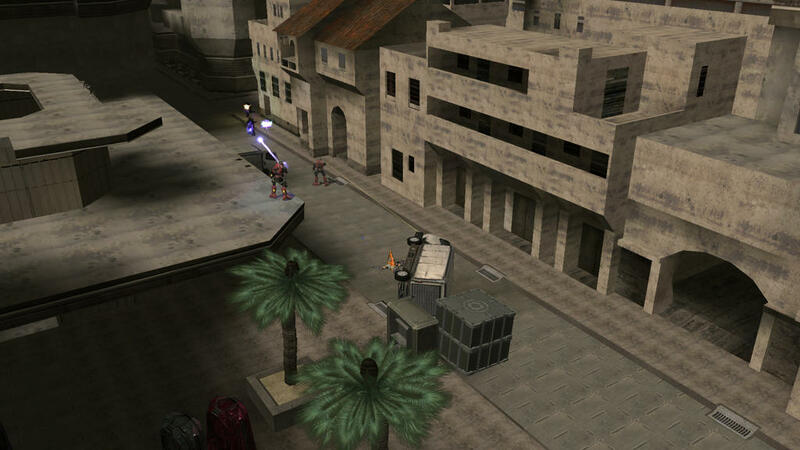 However, the main reason for using the spawn group in the first place is that by loading the local AI into the vehicle, it's pulling characters that are already on the map. TL:DR; At each spawn cycle The AI aren't deleted, they're teleported into the phantom and spawned with the next group. Unintended bug that came from trying to fix a current bug, easy fix but thank you so very much for pointing it out. I�m sorry, but check this thread and the one in OC, can I have some pictures or screenshots? Will the Data File Folder conflict with SPV3? Yes, back up your data file folder with spv3 content unless you want to redownload it. Why would you include data files for a single map anyway? Because OS_tool is broken and/or doesn't make any sense. Have been editing the BSP of Headlong/Terminal to better accommodate AI pathfinding and add additional geometry for Jackal Snipers. I've fixed the AI in the tunnels connecting the maps so that they're not barren, turns out you can't have firing positions that cover the span of 2 BSP's. Next steps are to add more encounters to the Headlong/Terminal BSP and begin debugging the geometry of the final BSP in 3DS Max. I was hoping to have a friend take over the encounter design and scripting so that I could focus primarily on level geometry and content. Unfortunately this doesn't seem to be the case, so progress will be slow, and implementation of any overarching objectives is looking unlikely. Hey if you need any help slapping away errors. I don't mind volunteering if it means you can focus on other stuff and thereby push an update out faster. I found a modified version of the HEK+ Tool plugin a while back that works with OS_Tool. I can link you to it, assuming the link still works. 1. I like the idea behind this. Had such an idea that I posted about a long time ago. 2. Having both the SMG and the Evolved AR is a little redundant. Maybe replace the AR with the easter egg MA5C or the prototype scoped 40-round AR would help in weapon variety. Truck is damaged hence it's "look". You're probably just using it wrong. Which doesnt make any sense. Shouldnt putting a 0 for store resources make it....i dont know....not store resources? Why is a null string more logical. that string is to name that shared files, not a true or false statement, so it is logical. Incorrect. Im not referring to the mod name string, im referring to the true or false statement 'store resources'. The first parameter is a string for name of the modset, the second is a T/F create anew, the third a T/F store resources, fourth a T/F use upgrades. then another string for map directory. Therefore; If I set the program to not store resources, why would one assume it to use stored resources. The string for mod name has the description that its the name used if resources get stored, not that by having a name it uses those maps. Got the final BSP ingame. That's a warthog near the bottom, for size reference. And a comparison for real size purpose. 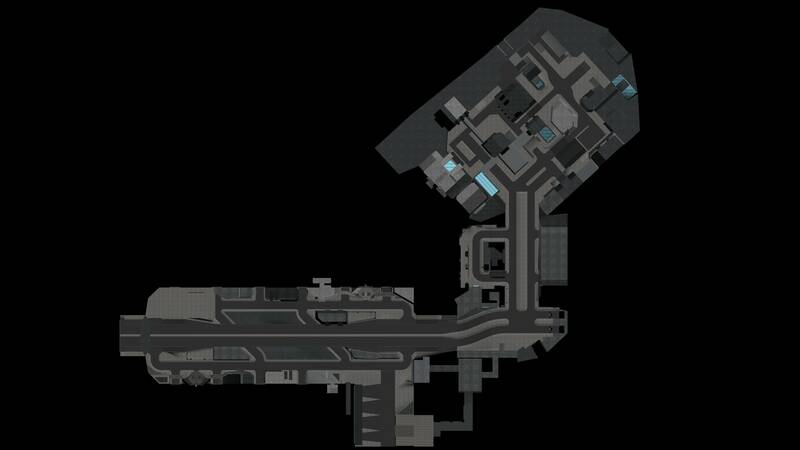 The other BSP sections you see are the ones that were available in the Beta; Turf/Outskirts and Headlong/Terminal. As you can see from the reference, this last BSP doubles the available play area. 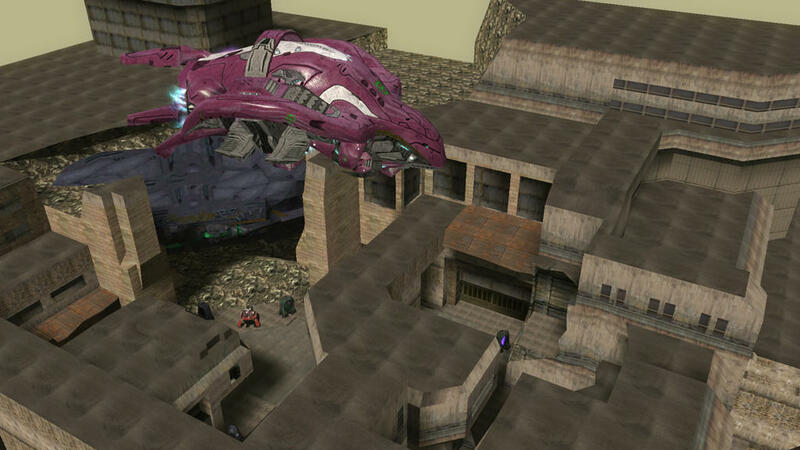 Credits due to Jahrain, Mrs. Doublefire and Bungie for level geometry. 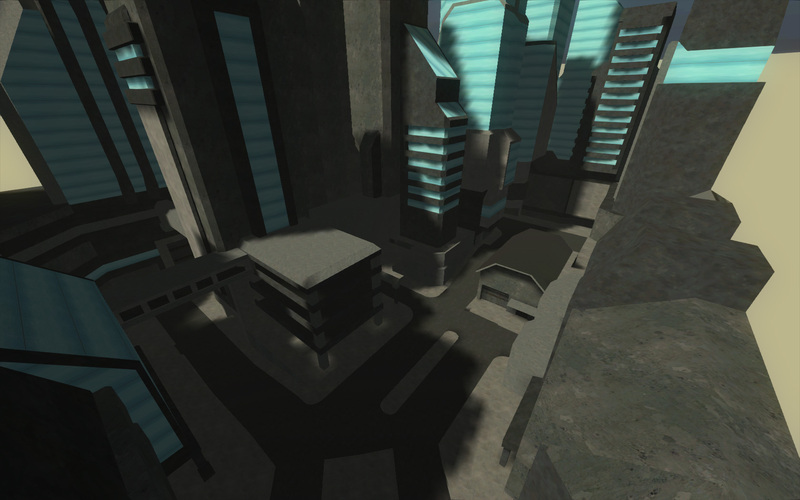 The BSP is a conglomerate of Chronopolis, New Mombasa and Halo 2's Metropolis, with some additions and modifications by myself. 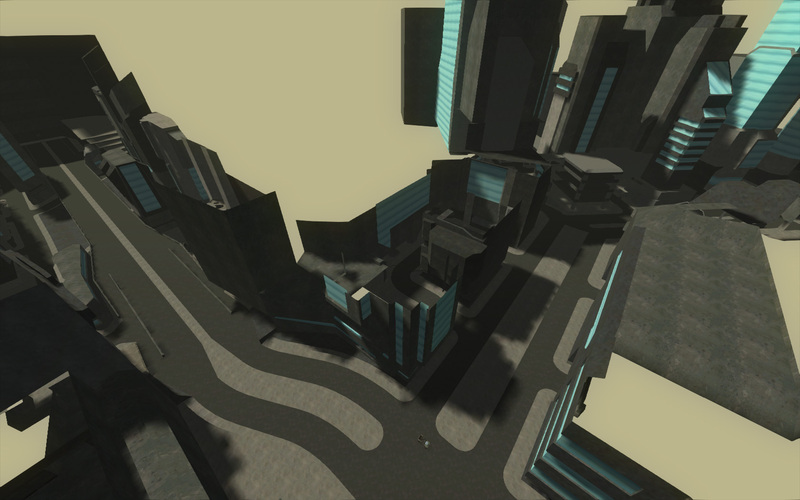 +Updated Headlong/Terminal BSP; created more slopes and ramps to enhance AI pathfinding. 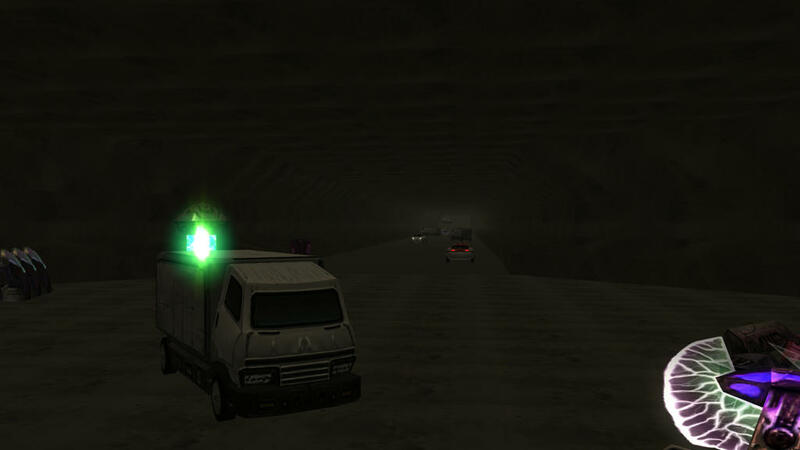 +Added AI Encounters to the tunnels, as was originally planned. +Fixed AI disappearing on respawn. +Created Collision Model for small car. +Added a third AI encounter to Headlong/Terminal, located inside Terminal's Garage. 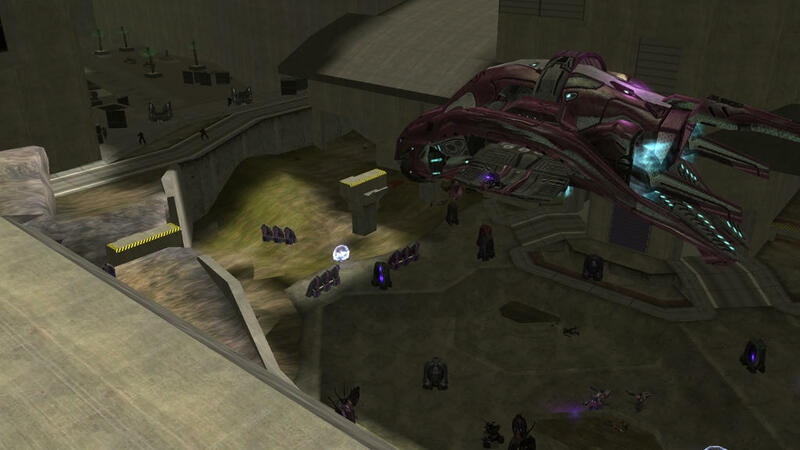 +AI will now occupy Covenant Turrets on spawn. +Modified the 10 Random Squads to better suit gameplay. +Completely rewrote scripts that determined spawning to prevent multiple encounters being spawned simultaneously. +CMT's Evolved tagset has been completely replaced with the CMT SPV3 tagset. +The Player's Character has been replaced from a Spartan to Sargent Avery Johnson. To reflect this change in character class, the health/shield system has been completely revamped. The character can now find Body Armor in the form of modified OverShields throughout the map, in the same areas where they would find ammunition. The players' health will gradually recover when not taking damage. I'm looking into different methods of implementing this as an option; The player can choose to play either as the Master Chief or as Sargent Johnson, much like the loadouts in CMT maps. For now however, there is no option present. The armor/health system needs refining before I'm comfortable with a release, but within the next 2-3 days I'll be uploading a copy. I won't be picking this project up again for a few months, but will be returning to finish this. 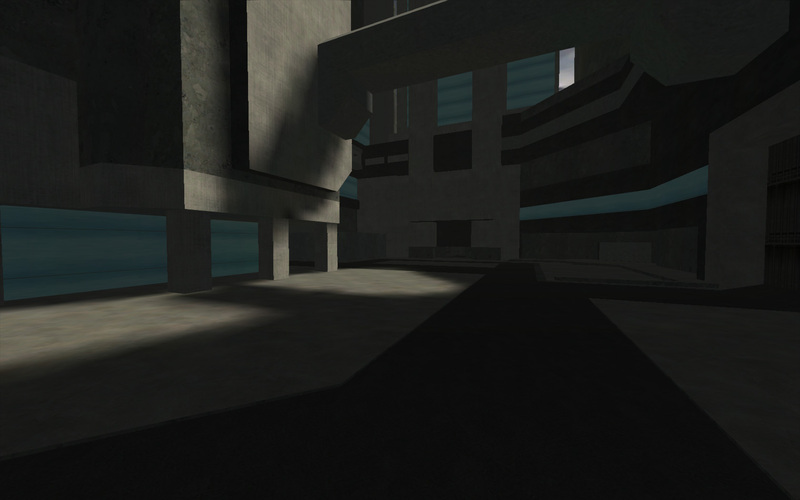 The third BSP is present within the mapfile I'll be releasing and can be accessed by the console command switch_bsp 2, however it is completely unsupported with any AI encounters or scenery, and does not align with the other BSPs in the map. Time: Tue April 23, 2019 11:02 AM 188 ms.